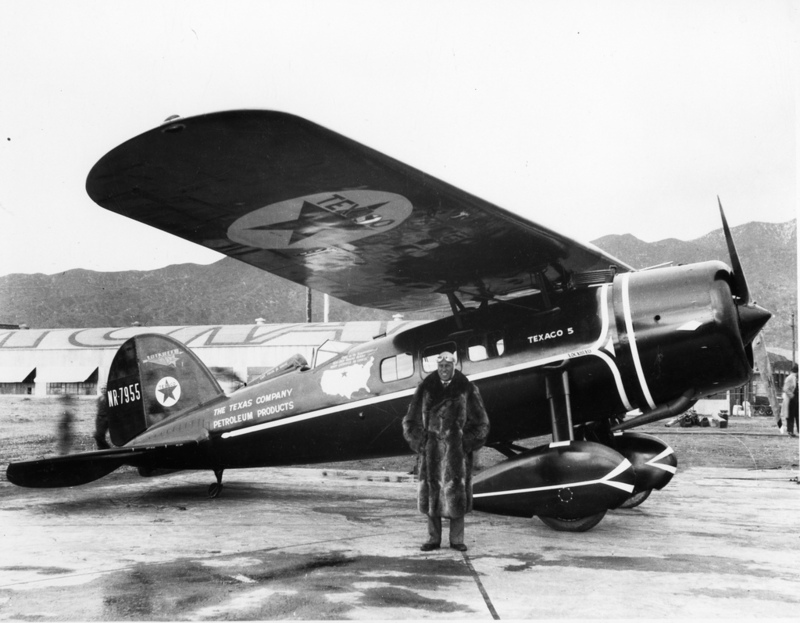 4–5 February 1929: At 5:37:30 p.m., Pacific Time, Monday, Frank Monroe Hawks took off from Metropolitan Field, Los Angeles, California, (now known as Van Nuys Airport, VNY) in a new Lockheed Model 3 Air Express transport, NR7955, serial number EX-2. Also on board was Oscar Edwin Grubb, the final assembly superintendent for Lockheed. The pair flew non-stop to Roosevelt Field, Long Island, New York, arriving there at 2:59:29 p.m., Eastern Time, on Tuesday. The duration of the flight was 18 hours, 21 minutes, 59 seconds. 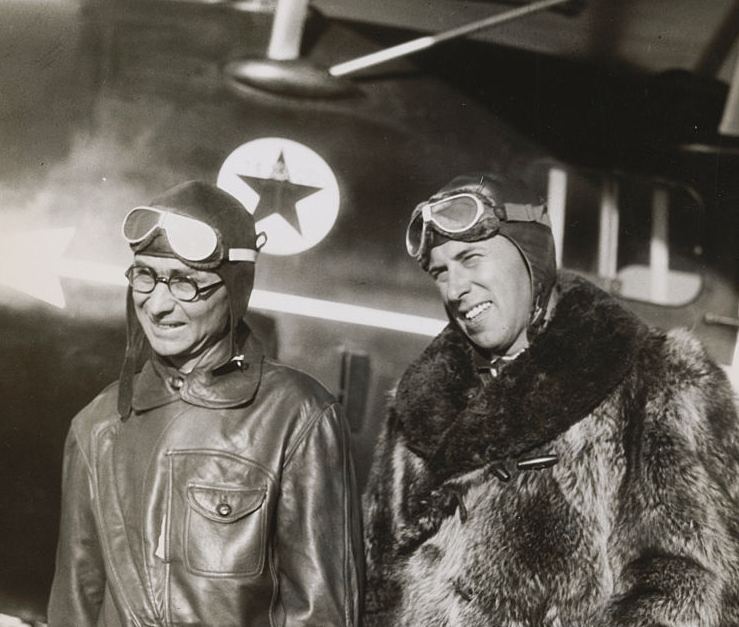 The only previous non-stop West-to-East flight had been flown during August 1928 by Arthur C. Goebel, Jr., and Harry Tucker with their Lockheed Vega, Yankee Doodle, NX4769. Hawks cut 36 minutes off of Goebel’s time. Hawks was a technical adviser to The Texas Company (“Texaco”), a manufacturer and distributor of petroleum products which sponsored the flight. On his recommendation, the company purchased the Air Express from Lockheed for use as a company transport. NC7955’s Department of Commerce registration was cancelled 31 January 1930. The Lockheed Model 3 Air Express was a single-engine parasol-wing monoplane transport, flown by a single pilot in an open aft cockpit, and capable of carrying 4 to 6 passengers in its enclosed cabin. The airplane was designed by Gerard Freebairn Vultee and John Knudsen Northrop. It used the Lockheed Vega’s molded plywood monocoque fuselage. The Model 3 received Approved Type Certificate No. 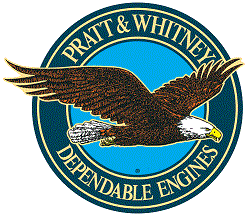 102 from the Aeronautic Branch, U. S. Department of Commerce. 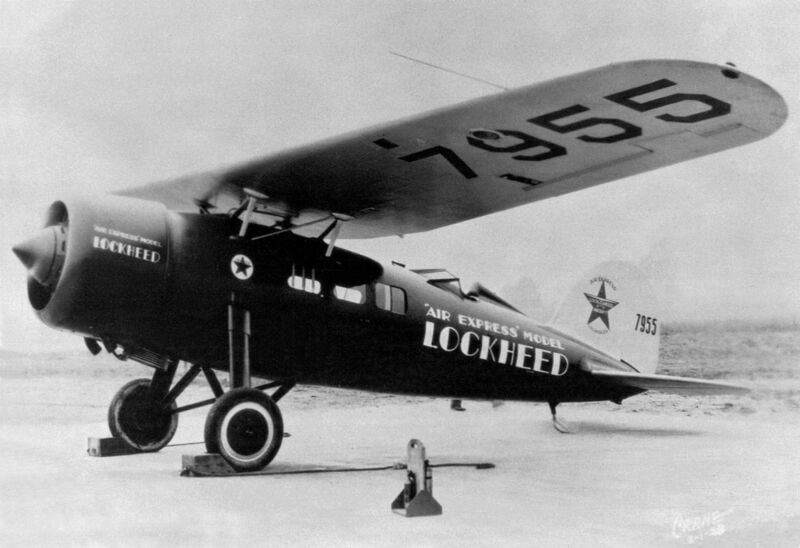 The Lockheed Air Express was the first production airplane to use the “NACA Cowl,” an engine cowling for radial engines which had been designed by a team led by Fred Ernest Weick of the the National Advisory Committee for Aeronautics’ Langley Memorial Aeronautical Laboratory. The new cowling design tightly enclosed the engine and used baffles to control air flow around the hottest parts of the engines. The exit slots were designed to allow the air to exit the cowling at a higher speed than it had entered the intake. The new cowling design provided better engine cooling and caused significantly less aerodynamic drag. The addition of the NACA cowling increased the Air Express’s maximum speed from 157 to 177 miles per hour (253 to 285 kilometers per hour). COOLING CAREFULLY CHECKED AND OK. RECORD IMPOSSIBLE WITHOUT NEW COWLING. ALL CREDIT DUE TO NACA FOR PAINSTAKING AND ACCURATE RESEARCH. GERRY VULTEE, LOCKHEED AIRCRAFT CO. The Lockheed Model 3 Air Express was 27 feet, 6 inches (8.382 meters) long with a wing span of 42 feet, 6 inches (12.954 meters) and height of 8 feet, 4½ inches (2.553 meters). The wing area was 288 square feet (26.756 square meters). The wing had no dihedral. The airplane had an empty weight of 2,533 pounds (1,149 kilograms) and gross weight of 4,375 pounds (1,984 kilograms). The Model 3 was powered by an air-cooled, supercharged 1,343.804-cubic-inch-displacement (22.021 liter) Pratt & Whitney Wasp C nine cylinder, direct-drive radial engine. The Wasp C was rated at 420 horsepower at 2,000 r.p.m. at Sea Level. It was 3 feet, 6.63 inches (1.083 meters) long, 4 feet, 3.44 inches (1.307 meters) in diameter, and weighed 745 pounds (338 kilograms). The Air Express had a cruising speed of 135 miles per hour (217 kilometers per hour), and maximum speed of 177 miles per hour (285 kilometers per hour). It’s service ceiling was 17,250 feet (5,258 meters). 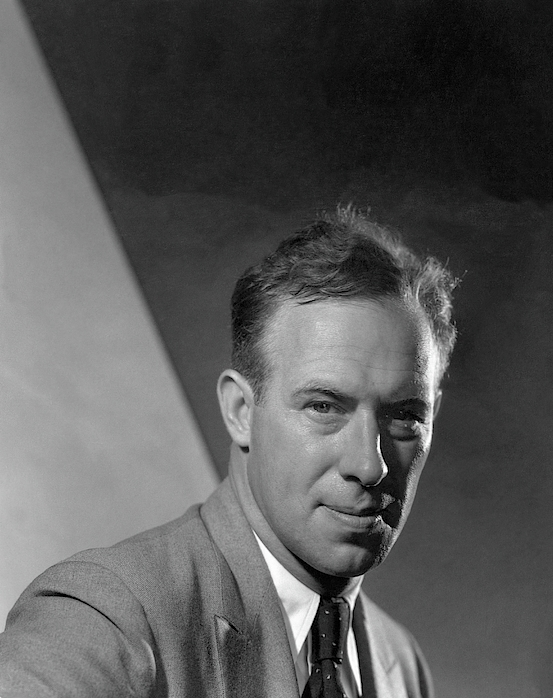 Francis Monroe Hawks was born at Marshalltown, Iowa, 28 March 1897. He was the son of Charles Monroe Hawks, a barber, and Ida Mae Woodruff Hawks. He attended Long Beach Polytechnic High School, Long Beach, California, graduating in 1916. He then studied at the University of Southern California, in Los Angeles. Frank Hawks was an Air Service, United States Army, pilot who served during World War I. 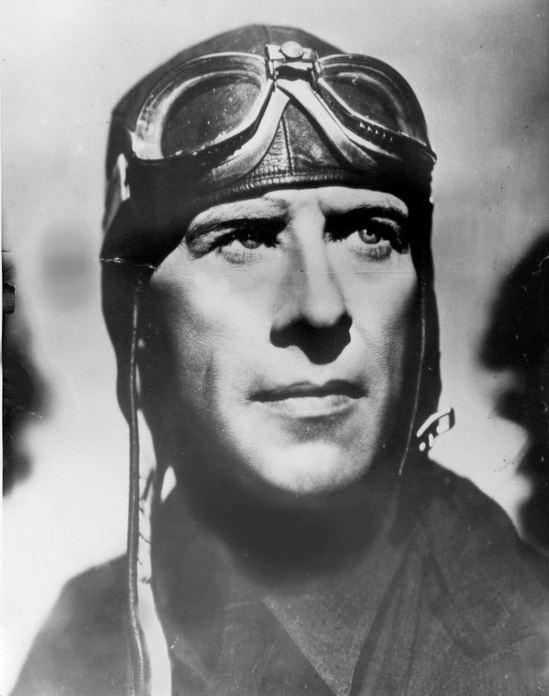 He rose to the rank of Captain, and at the time of his record-breaking transcontinental flight, he held a commission as a reserve officer in the Army Air Corps. Hawks transferred to the U.S. Naval Reserve with the rank of Lieutenant Commander. His date of rank 27 May 1932. On 28 December 1920, Miss Amelia Earhart took her first ride in an airplane at Long Beach Airport in California. The ten-minute flight began her life-long involvement in aviation. 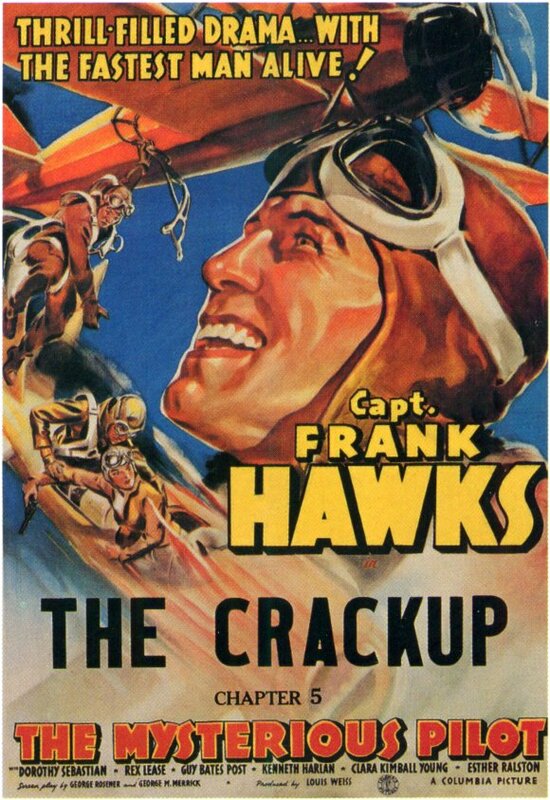 The airplane’s pilot was Frank Monroe Hawks. Francis M. Hawks married Miss Newell Lane at Lewiston, Montana, 7 August 1918. They had a daughter, Dolly. They later divorced. 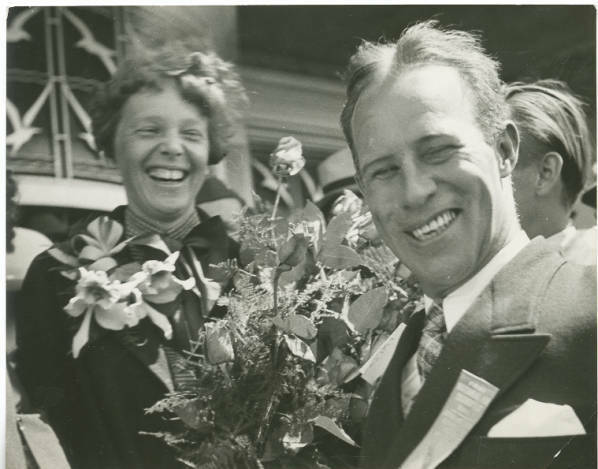 He next married Mrs. Edith Bowie Fouts at St. John’s Church, Houston, Texas, 26 October 1926. Frank Hawks was killed in an aircraft accident at East Aurora, New York, 23 August 1938. He was buried at Redding Ridge Cemetery, Redding, Connecticut.